While many of the heroes of aviation made history in the first three decades of the 1900’s, the growth of the private aviation industry that gave us today’s thriving private charter business didn’t start until after World War II. As the war effort wound down, there were many trained pilots and aircraft technicians looking for employment opportunities. In addition, there were an abundance of available military transport planes and an ever increasing demand for faster ways to move business people around the country. These factors combined to form the foundation on which today’s $15B industry was built. Here are some of the other major milestones that helped carve out the private charter niche and create a thriving new industry that employs more than 1 million Americans. Howard Aero in founded in San Antonio in 1947 and begins converting former military transport planes into planes designed for business travel. The Morane-Saulnier Paris Jet, considered by some to be the first jet designed for business travel, makes its first flight in 1954. Lockheed builds the first JetStar and launches the era of the business jet. Although the plane was initially built for a military competition, it turned out to be the right kind of private jet for business people who wanted to own their own plane. 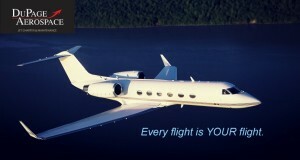 The introduction of the Gulfstream II in 1966 begins the age of large-cabin jets that has lead all the way up to the soon to be certified G650. When the Citation 500 was introduced by Cessna in 1969, it started the journey that would lead to the most popular plane in the world, the Citation XLS. The Honeywell TFE731, the most prolific engine in the private plane industry, is introduced in 1970. NetJets changed the industry in 1986 when it introduced fractional-share jets. GPS, global positioning systems, became available in 1995. This advance has not only made flying easier, it has made it safer as well.